I heart wearing my initial or monogram, hand engraved on fine sterling silver. Sentimental keepsakes, as well as instant heirlooms, an engraved piece of jewelry is a perfect way to celebrate a special event, capture a memory, or simply make your mark on this lonely planet. 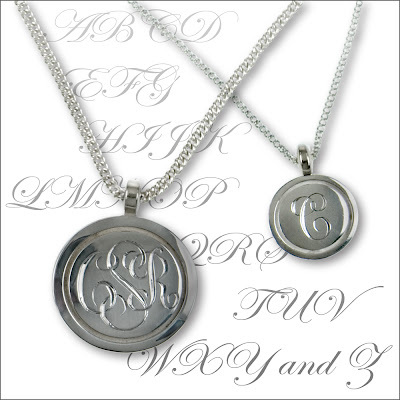 Cynthia Rybakoff hand engraved monograms and initials are now available by custom order at Artists & Fleas, weekends 10 -7, 70 N. 7th, Williamsburg, Brooklyn.